Made for toddlers, the EMU Australia Kanga Walker is a warm, soft and comfortable shoe for first steps. 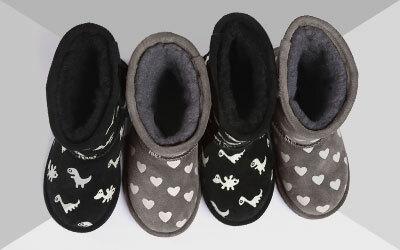 Lined with soft Australian Merino wool to keep little toes warm, and a soft flexible outsole for a good range of movement. The Little Creatures Kanga Walkers are toddler booties with kangaroo design features. 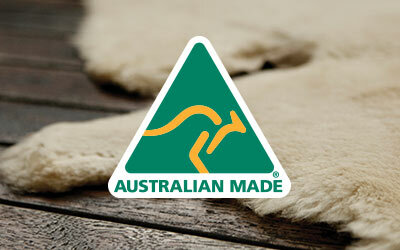 A comfortable, flexible moulded rubber sole allows for greater freedom and grip, while the natural Australian Merino wool lining keeps toes warm and comfortable. An exposed wool topline and metallic pink details add to the cuteness of these shoes. Kanga Walker is rated 5.0 out of 5 by 1. Rated 5 out of 5 by Nana 7 from Easy to put on! I bought this for my 1 and 1/2 year old granddaughter. Great fit, easy to put on and super cute!